Pages etc. : 170p., full of col. illus., 23cm. 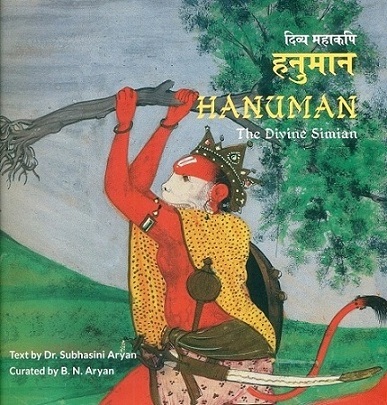 The book is a catalogue of 300 artifacts of Hanuman exhibited at Indira Gandhi National Centre for the Arts, New Delhi in Jan. 2019 from the collection of 'Home of Folk Art' started by late K.C. Aryan, renowned modern artist. It will bring forth to the public the legend of Hanuman through diverse range of expressions like paintings, manuscript illustrations, bronze icons, masks, leather puppets and jewellery, etc.